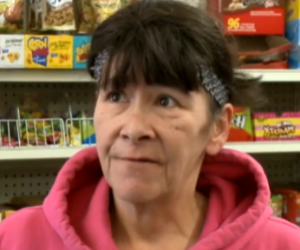 Ernestine Aldana and her husband have owned a small grocery store in Milwaukee Wisconsin for two years. But last month was the first time that she had ever been faced with an armed robbery. Thankfully, her son had purchased her a firearm and had taken her to the range. She grabbed the gun and the robber fled. Like the majority of defensive gun uses, this crime was thwarted without a single shot being fired. Read more at Opposing Views. This entry was posted in Defensive Gun Uses, Self Defense, Wisconsin. Bookmark the permalink.